July 9th is the 190th day of the year (191st day in leap years) in the Gregorian calendar. There are 175 days remaining until the end of the year. On this page, we have placed information about July 9th, including famous people born on, historical events that occurred on, holidays and observances that fall on, and astrological connections of, this day. 1816 Argentina declares independence from Spain. 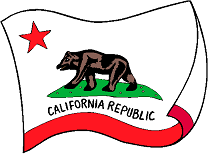 1846 Republic of California annexed by the United States. 1943 Allied troops invade Sicily. 1962 Andy Warhol exhibits his "32 Campbell's Soup Cans" art work. 2002 Organisation of African Unity becomes African Union. 2011 South Sudan becomes independent from Sudan.